Processed foods on the market that should be avoided! Monosodium Glutamate (MSG)- is used to create artificial flavors to help food keep its flavor. MSG, chemicals, and pesticides are a harmful concoction that can destroy the brain’s nerve cells but it is found in infant formula, low fat milk, gum, drinks, candy, medication, yogurts, and vaccines. MSG also promotes irreversible obesity because it inhabits the body’s natural growth hormones. MSG causes headaches (the reason I ensured I didn’t consume it years ago), nausea, lethargy, difficulty breathing, and heart palpitations. MSG can be listed on products as free glutamate, hydrolyzed proteins, autolyzed yeast, yeast extract, caseinate, or artificial flavors. Refined Sugars– consuming high amounts of refined sugar can lead to elevated levels of insulin, weight gain, obesity, lethargy, bloating, headaches, arthritis, decreased functionality of the immune system, gallstones, breast cancer, cardiovascular disease, and oral issues. Soft Drinks– are full of artificial flavorings such as saccharin, NutraSweet or aspartame. Researchers say these are small levels of poison, designed to alter the neurochemistry of your brain. They also contain mercury and can damage your body’s cells over time if drunk habitually. Genetically Modified Organisms (GMO’s)– If an animal or plant based product is listed as a GMO this means that changes have been to their DNA through genetic modification. The majority of corn, soybeans, canola, and cotton crops in the U.S. are genetically modified. Researchers say that adding GMO ingredients to a product can increase toxicity and susceptivility to allergies and put consumers at a higher risk of cancer. BHA/BHT– is fried oil that has been used, cooled, reheated and reused. This happens often in some restaurants. Researchers suggest that consuming this oil can negatively affect your sleeping habits, increase your appetite, or cause detrimental health effects such as liver or kidney damage, baldness, cancer, fetal abnormalities, or behavioral problems. Sodium Nitrite and Nitrate– are preservatives, commonly added to processed or canned foods, specifically meat, such as corned beef, ham, hot dogs, lunch meat, bacon, and sausage. They have been linked to cancers of the stomach and pancreas. Caffeine– over 80% of Americans consume this instant picker-upper everyday. Researchers say caffeine is fine in moderation is natural forms such as coffee, tea, or cocoa. It is also used as an additive in soft drinks, diet pills, painkillers and gum, in this form it serves as an addictive stimulant, causing calcium to be expelled from the bones, leading to a heightened risk of osteoporosis and infertility. Researchers say it can also cause birth defects, miscarriages, depression, insomnia, changes in behavior, and heart disease. Brominated Vegetable Oil (BVO)– is used to keep the oil based flavorings in soft drinks suspended. 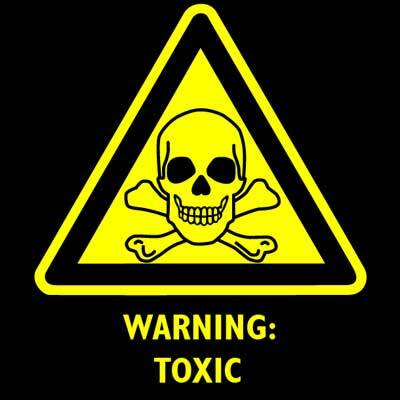 Bromate is a poison, of which just two ounces of a 2% solution could dangerously poison a child. According to research, in adults BVO can lower the immune system and diminish histamines, making you more susceptible to allergic reactions. Partially Hydrogenated Vegetable Oil– reacts with hydrogen, partially hydrogenated veggie oil is the result, causing the level of polyunsaturated oils to reduce and creating unhealthy trans fat in their place. These trans fats are found in snack foods, fried foods, baked goods, and other processed foods which are linked to obesity, heart disease, certain cancers, and high cholesterol. High Fructose Corn Syrup (HFCS)– is no worse than consuming sugar but it contains free form monosaccharides in the form of fructose and glucose. HFCS can have taxing effects on the liver because it can be just as damaging as alcohol and other toxins. It’s suggested to keep your total consumption of HFCS under 25 grams daily. Pesticides-Researchers say that the amount of pesticides we consume over time through eating non-organic fruits, vegetables and produce. It has been suggested that 99% of mothers’ milk in the USA contains high, potentially dangerous levels of dichlorodiphenyltrichloroethane (DDT). Further pesticides, such as polychlorinated biphenyls (PCBs), dioxin, aldrin, dieldrin, heptachloe, and chlordane are also present in our bloodstreams. Our bodies do not have the ability to naturally expel these pesticides, they remain in our bodies and weaken our functionality over time. Pesticides in our body can cause damage to our reproductive, circulatory, nervous, and immune system. It also causes an increase in risk of heart disease, allergies or cancer, as well as creating a higher risk of miscarriage or birth defects in pregnant women. This entry was posted in Health & Craft Corner and tagged Lifestyle Change. Bookmark the permalink. ← What’s Your Fav Dish?